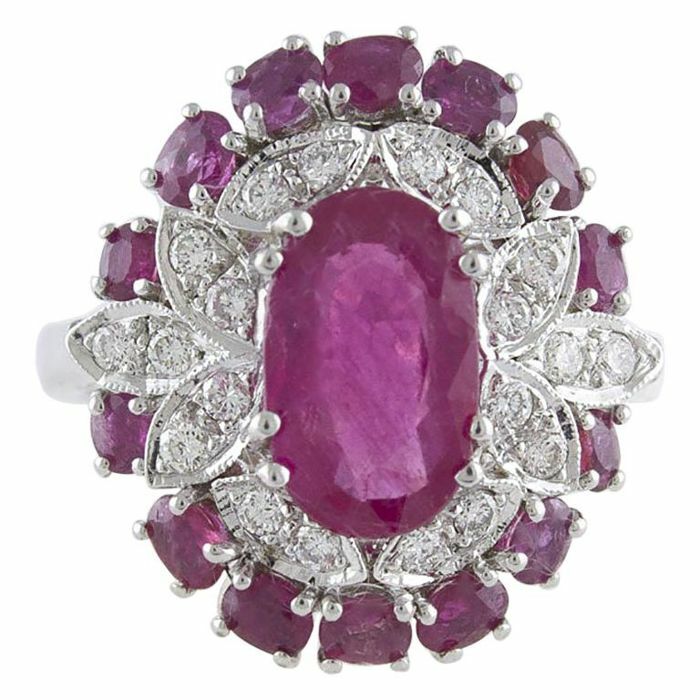 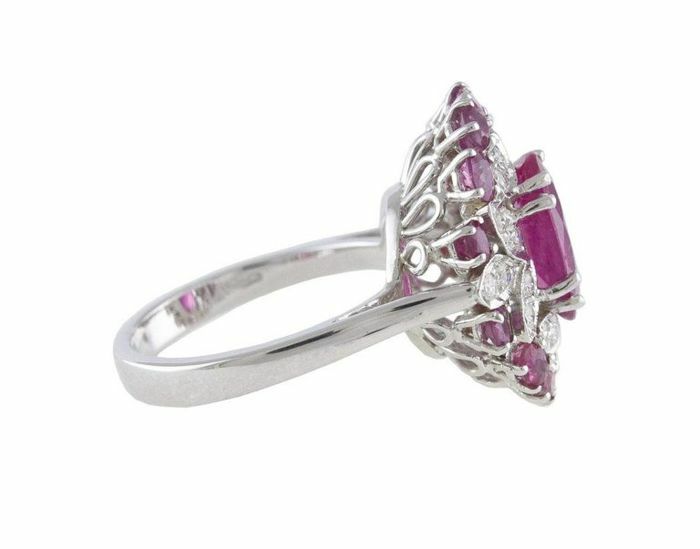 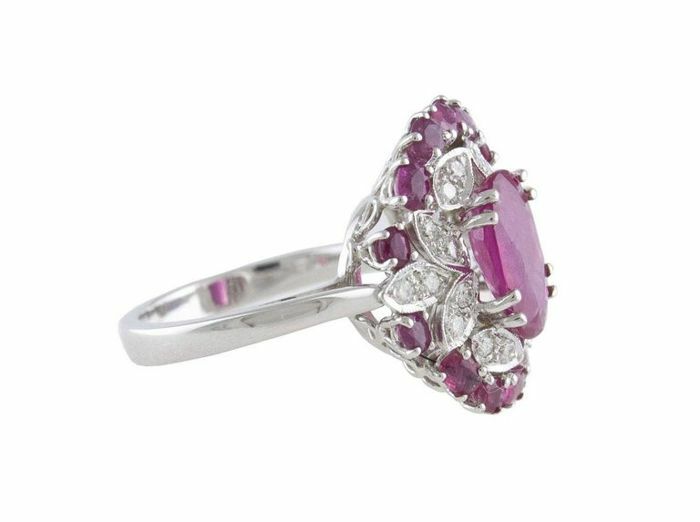 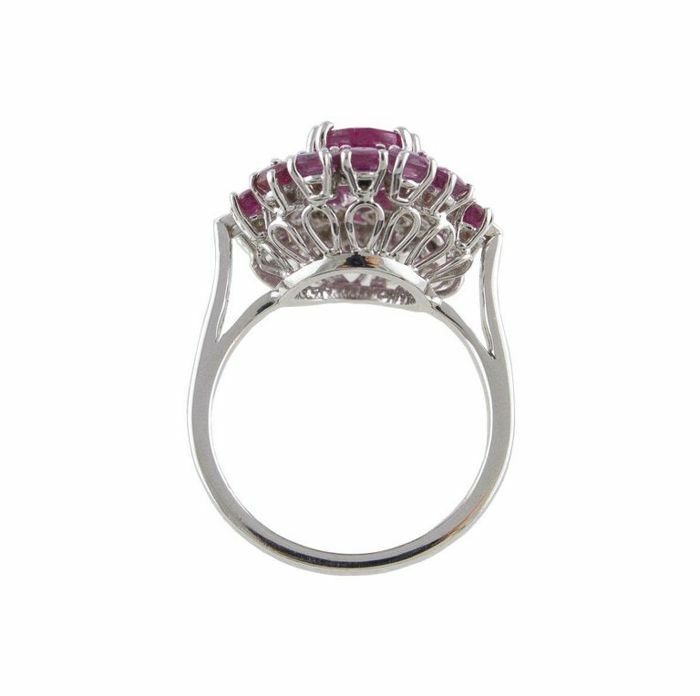 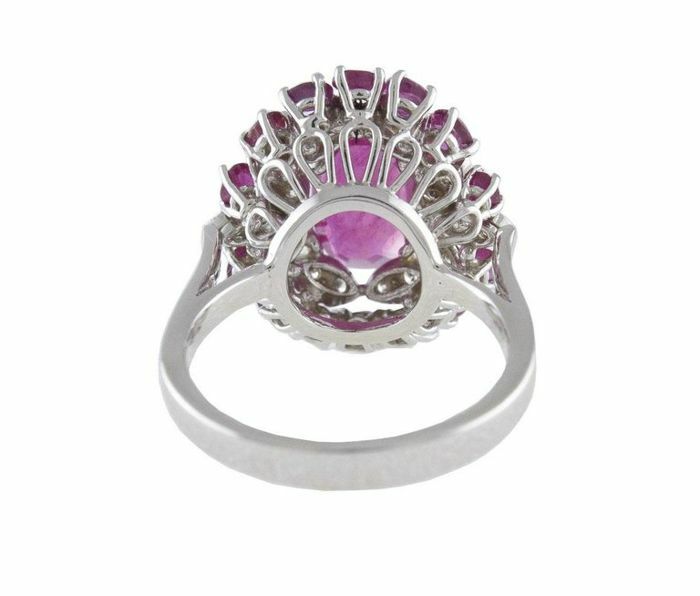 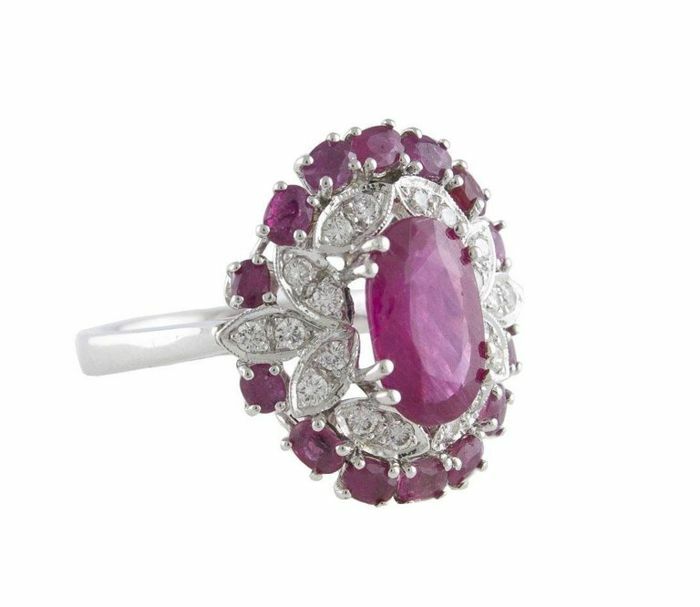 Fashion ring in 14 kt white gold, set in classic style with an oval ruby in the centre (11 x 7 mm), surrounded by leaves in 14 kt white gold set with diamonds. 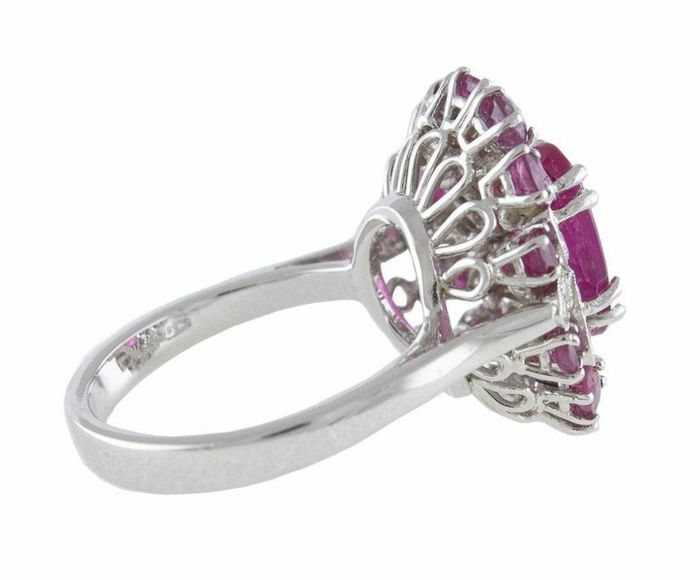 The details of the leaves are embellished with a crown of small rubies. 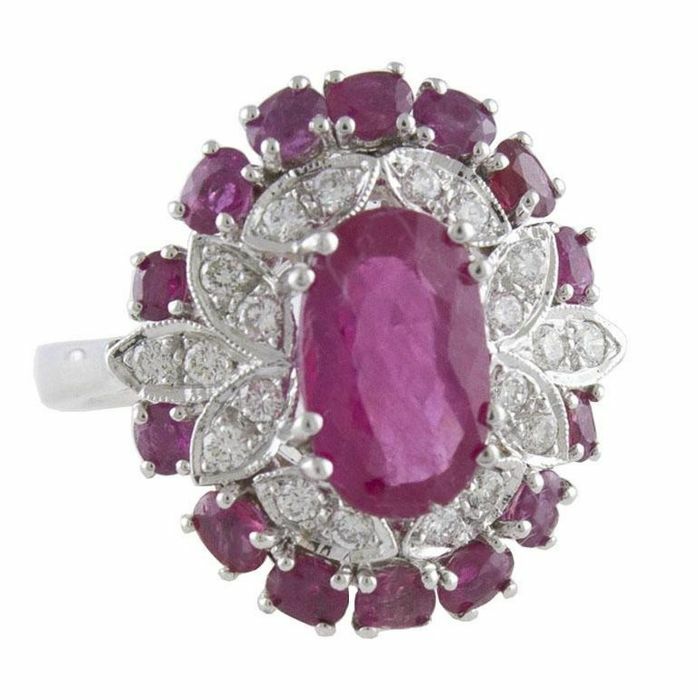 Diamonds, 0.43 ct, colour G, clarity VVS. 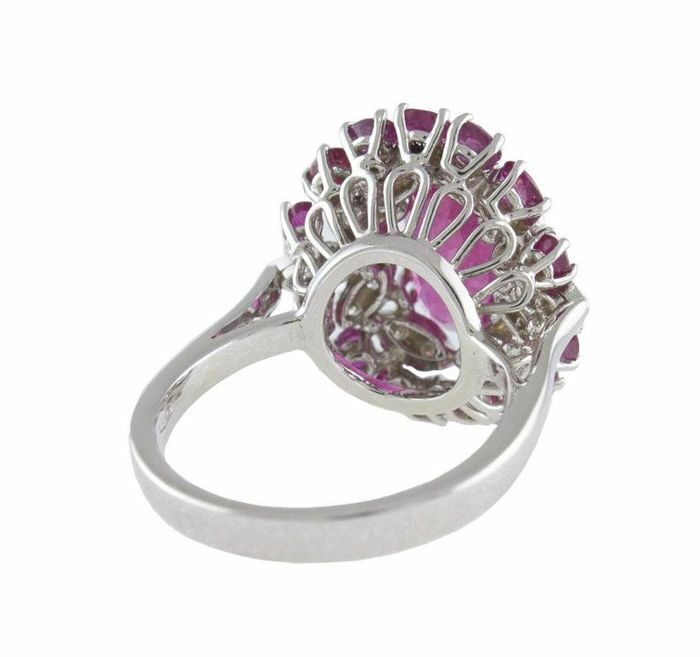 Ring size: 20 x 19 mm.